One of the most overwhelming stressors in your day, besides work, is coming home from work. It’s 5pm and everybody is heading to day care to pick up kids or they are heading home like maniacs. They switch lanes, cut you off, slam on your breaks and you are screaming at the top of your lungs trying to figure out why these people can’t just drive normally. You probably barely avoid about 10 accidents before you even make it to the day care to pick up your child who sitting alone playing by himself because you are late again. The look of your kid plus the stress of the drive just adds to your total stress for the day. 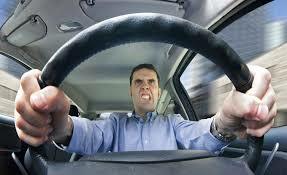 Driving is a huge cause of stress. Most people, especially in crowded cities like New York City and Los Angeles, spend almost an hour trying to get to work or get home safely. In many cities, this traffic also causes several public safety issues as well. As your stress builds, so does the stress of those who are traveling around you as well. With this stressor you are not alone and everybody is feeding off of everybody else’s stress and anxiety. Your 5 o’clock drive doesn’t have to look this. Once you are able to get your kids picked up you may have another stressful situation. Perhaps they are separated in the car because you’re tired of playing referee while you drive, but they still seem to annoy each other one way or another. One way to deal with this is to keep them as occupied as possible. To deal with this type of stress, you may first want to try out some relaxing music. Invest in classical music that will make it more soothing as you drive. You may also consider nature sounds that will lighten up rush hour. Another option is to change your daily route. Look for a way that is not as stressful, perhaps take residential streets instead of busy highways. You might find that this route is longer, but you will appreciate the reduced stress in your life by taking this route. Another technique is to simply start your drive five or ten minutes early. This keeps you from having such a time crunch in the mornings. This can actually make a less stressful drive as well.